Dr K Sivan, Distinguished Scientist and Director, Liquid Propulsion Systems Centre (LPSC), Thiruvananthapuram, has assumed the office of the Director, Vikram Sarabhai Space Centre (VSSC), Thiruvananthapuram, today. He took over as Director, VSSC from Mr M Chandradathan, who superannuated in end May 2015. Dr Sivan graduated from Madras Institute of Technology in Aeronautical Engineering in 1980 and took his Master’s degree in Aerospace Engineering from the Indian Institute of Science (IISc), Bangalore in 1982. Subsequently, he completed his PhD in Aerospace Engineering from the Indian Institute of Technology, Bombay in 2006. Dr Sivan joined ISRO in 1982 to Polar Satellite Launch Vehicle (PSLV) Project and has made rich contributions towards end to end mission planning, mission design, mission integration and analysis. The mission design process and innovative mission design strategies perfected by him for PSLV has become the foundation for ISRO launch vehicles like Geosynchronous Satellite Launch Vehicle (GSLV), GSLV Mk-III, as well as Reusable Launch Vehicle-Technology Demonstrator(RLV-TD). Dr Sivan is the chief architect of 6D trajectory simulation software SITARA which is the backbone of the real time and non real time trajectory simulations of all ISRO launch vehicles. He developed and implemented an innovative ‘day of launch wind biasing’ strategy which has made possible rocket launch on any day of the year under any weather and wind conditions. Dr Sivan has made immense contribution towards establishing a parallel computing facility and Hypersonic wind tunnel facility, which has opened new avenues in the area of Computational Fluid Dynamics and self-reliance in wind tunnel testing. He evolved novel strategies for launching India’sMars Orbiter spacecraft through PSLV. He also led the RLV-TD development programme and spearheaded its design, qualification, aerodynamic characterisation and hardware development. Dr Sivan joined GSLV Project in April 2011 as Project Director. Under his leadership, GSLV with indigenous Cryogenic Upper Stage, achieved historical success on January 05, 2014. During his career at ISRO, Dr Sivan held many responsible positions like Project Director, RLV-TD; Deputy Director, VSSC; Project Director, GSLV and Director, LPSC. He has numerous publications to his credit and is a Fellow of Indian National Academy of Engineering, Aeronautical Society of India and Systems Society of India. Dr Sivan has received many awards, which include Dr Biren Roy space science award for the year 2011, ISRO merit award for the year 2007 and Shri Hari Om Ashram Prerit Dr. Vikram Sarabhai Research award for the year 1999. 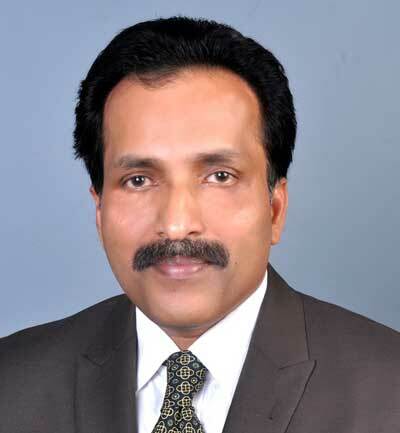 Mr. S Somanath, ‘Outstanding Scientist’ and Associate Director (Projects), Vikram Sarabhai Space Centre (VSSC), as well as Project Director of GSLV Mk-III, has taken over as the Director of Liquid Propulsion Systems Centre (LPSC) today. 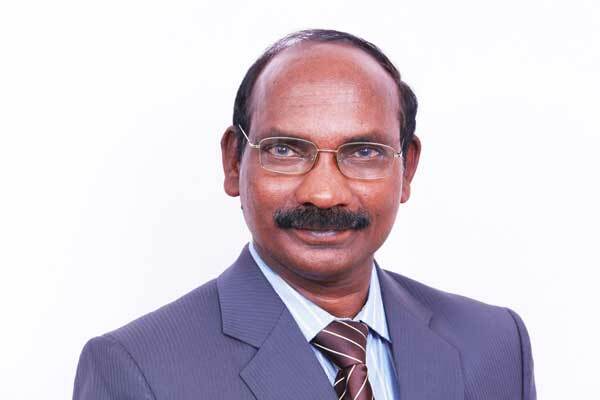 He took over as Director from Dr K Sivan, who has taken over as the Director of VSSC. Mr. Somanath is an expert in a host of disciplines including launch vehicle design and has specialised in launch vehicle systems engineering, structural design, structural dynamics, integration designs and procedures, mechanism design and pyrotechnics. Mr Somanath completed graduation in Mechanical Engineering from TKM College of Engineering, Quilon, Kerala University. Later, he took Master’s Degree in Aerospace Engineering from IISc, Bangalore with specialisation in Dynamics and Control. Mr Somanath joined VSSC in 1985. He became associated with PSLV Project during its early development phase. As a member of the vehicle integration team, he was responsible for the system integration design and subassembly realisation and testing the stages of PSLV during its development. He was a team leader for the first and second developmental flights of PSLV. Later, as Project Manager, Vehicle Engineering and Launch Services Management of PSLV Project, he was responsible for the mechanisms and pyro-technique systems of the vehicle. And, as satellite launch service manager, he co-ordinated the launches of commercial mini satellites in PSLV-C2 and C3 missions, and the development of small satellite accommodation systems and separation systems for mini satellites. As the convenor, Mr Somanath authored the Project report of GSLV Mk-III (also known as LVM3) during 2000-2002 and joined GSLV Mk-III Project in 2003. Later, he became the Deputy Project Director responsible for Vehicle Engineering and Mission design, Structural Design and Integration. Mr. Somanath became the Project Director of GSLV Mk-III in 2010. He became the Deputy Director of VSSC’s Structures Entity during 2012-13 and was responsible for all the structural design, analysis and testing activities related to launch vehicle structural systems. He was also the Deputy Director of ‘Propulsion and Space Ordinance Entity’, which handles propulsion research activities, especially those related to solid motors and the design and development of pyro systems, till November, 2014. Under Mr Somanath’s leadership, LVM3-X/CARE mission, the first experimental suborbital test flight of LVM3, was successfully accomplished on December 18, 2014. Mr Somanath is the recipient of many awards and honours, including the Gold Medal from IISc, Bangalore for the Masters Programme and ‘Space Gold Medal’ from Astronautical Society of India. He has also received the Performance Excellence award from ISRO in the year 2009 and Team excellence award for GSLV Mk-III realisation. Mr Somanath participated in International Astronautical Federation Congress (IAF-2012) held at Prague in 2012, launch activities of ISRO satellites on Ariane-5 at Kourou, French Guyana, mission reviews for GSAT missions at ESA, Paris and customer spacecraft interface at KAIST, South Korea. He was a member of the Indian delegation to UN-COPUOS, Vienna in 2013. Mr Somanath has published papers in many areas that include structural dynamics and control, dynamic analysis of separation mechanisms, vibration/acoustic testing, launch vehicle design and launch services management. Mr P Kunhikrishnan, Scientist ‘H’ and Deputy Director, Vikram Sarabhai Space Centre (VSSC), has taken over as the Director of Satish Dhawan Space Centre (SDSC) SHAR, Sriharikota, today. He took over as Director from Dr M Y S Prasad, who superannuated by end May 2015. Mr Kunhikrishnan obtained his B-Tech degree in Electronics & Communication from College of Engineering, Trivandrum. He joined ISRO in the Systems Reliability Entity of VSSC in 1986. In his career spanning over three decades in ISRO, Mr Kunhikrishnan has made significant contributions in the area of System level Quality Assurance of Avionics, Electrical Integration and Checkout Systems for various Launch Vehicles of ISRO. He was responsible for the flight certification of all the Avionics Systems of Launch Vehicles as Head of the Quality Division for Devices and Test & Evaluation. 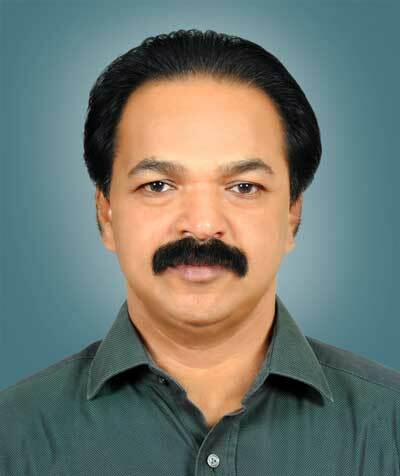 Mr Kunhikrishnan became the Associate Project Director of PSLV in February, 2009. He assumed charge as the Project Director of PSLV Project in June 2010 and has successfully accomplished 13 PSLV Missions as Mission Director. These include such significant missions like PSLV-C19 that carried RISAT-1, the heaviest Indian remote sensing satellite launched by PSLV to Sun Synchronous Orbit so far, PSLV-C21 and PSLV C23, two missions that successfully launched two French operational Earth Observation Satellites to intended orbits, PSLV-C25 that launched India’s Mars Orbiter Spacecraft and the four PSLV missions that launched first four satellites of the Indian Regional Navigation Satellite System (IRNSS). In February 2015, Mr Kunhikrishnan became Deputy Director of VSSC for Mechanisms, Vehicle Integration & Testing (MVIT) Entity. He is the recipient of Astronautical society of India (ASI) award for the year 2011 and ISRO Individual Merit Award for the year 2010. The post “New Directors for Three Major ISRO Centres: Three major ISRO Centres have new Directors from today (June 01, 2015)” originally appeared on ISRO.